“At about 15 hrs (Bejing time) on March 8, 1976, a meteorite shower of unprecedented scale occurred in the northern part of the district of Kirin, Kirin Province. […] . At about 15:01 hrs a red fireball bigger than the full moon and moving southwestward was sighted by some dozens of townspeople of Hsinglung Payen county Heilungkiang Province. During the fireball’s flight over a distance of 300 – 400 km, the incandescent fireball was being observed overhead by thousands of people. 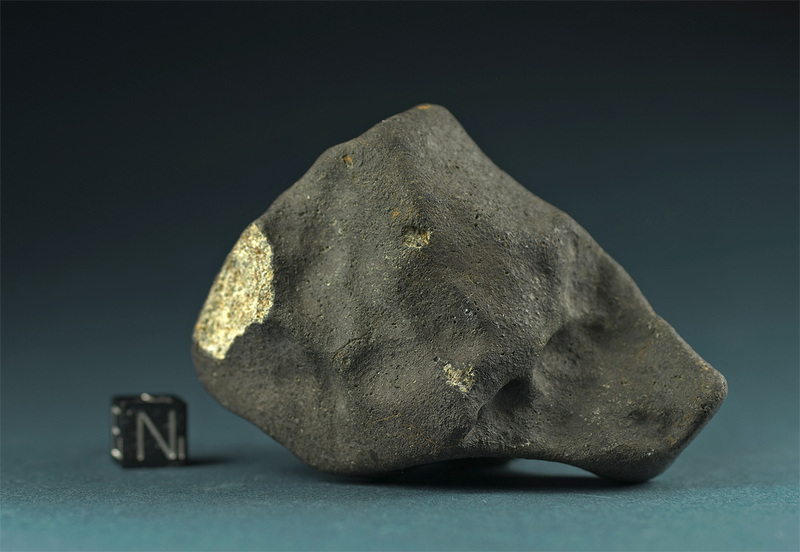 During the flight the meteorite body underwent several small explosions and many small fragments fell one after another. A violent breakup occured when the main body of the fireball was over the northeastern part of the Chinchu.” (A Preliminary Survey Of The Kirin Meteorite Shower, by the Joint Investigation Group of the Kirin Meteorite Shower, Academia Sinica, October 1976). 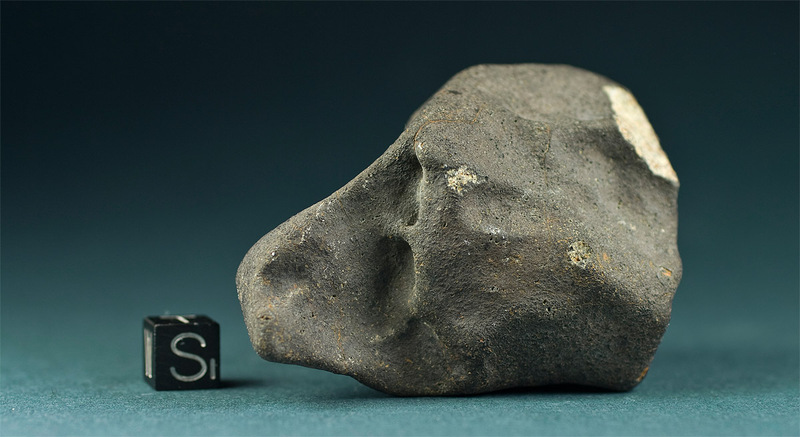 Until present, the 1170 kg main mass of the Jilin meteorite is the largest stone meteorite on earth. The collection specimen pictured is an individual of 269 g that was found in the village of Jintun.